Have you seen it in a logbook near you? Please take a minute on the trail & save a box by rehiding it better than you found it! This series of eleven interviews, conducted by Mark Pepe, is our effort to link letterboxing's past to the present by interviewing personalities from across the country who have made a significant contribution to this pastime. 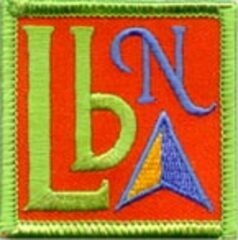 The series first came about after Randy Hall / Mapsurfer announced on the LBNA talk list the he had published a new book about letterboxing. I thought it might provide some good fodder for readers to learn a little more about Mapsurfer. After publishing the interview, with some encouragement from Legerdemaine and the boxing public, we then decided to expand this idea from a one time interview into a full blown series. How can you letterbox in the present if you don't know the past? A series of 22 boxes carved by letterboxers from around the country that celebrate the rich heritage of various Native American Indian tribes. This series created by Koyote, Rush Gatherer & PowWow Dancer. Sue and I have adopted this most important series of boxes at the request of Koyote after he retired from letterboxing. There is most likely a Pinecone Production somewhere close to you. Sue & I have this habit of leaving them where ever we visit. We'd like to thank all of the finders and caretakers of our boxes planted on distant shores. We appreciate you making sure that you leave all letterboxes hidden better than you found them! Thanks! Visit our favorite boxing sites! - the original clue repository that started it all! - the new kid on the block! Are you new to letterboxing? Join this talk list for encouragement and answers - where no question is a dumb one! 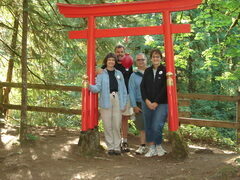 We hope you enjoy and visit this site as much as you did our Letterboxing with Mark & Sue blog. If you need to drop us a line, just click the "Contact" tab in the upper right corner of this page. Thanks for stopping by! And don't forget to rehide those boxes better than you found them!!! 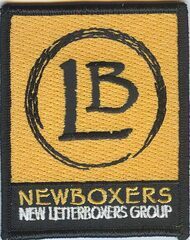 If you are new to letterboxing, try our New Boxers Talk List - where no question is a stupid one! It's time to just get out there and box!!! On Facebook, I noticed this very cool page from Berry College, located in Mount Berry, GA. 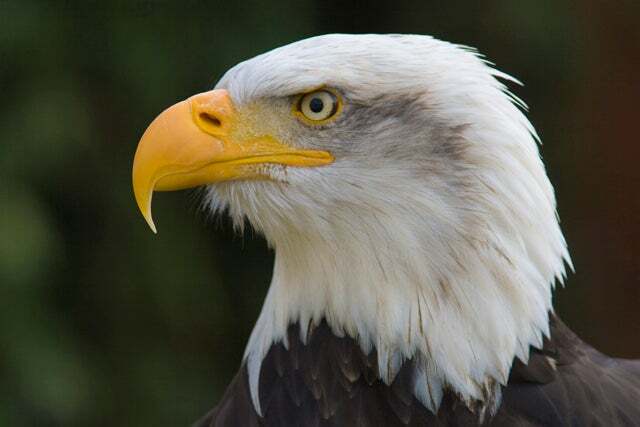 They have had an eagle couple that have frequented the campus and have raised young. There is a live cam that shows the daily progress of the 2 eggs that are in the nest and their parents. Yesterday, there was an attack on the eggs during the evening by a horned owl. Luckily, Mom was alert and took care of the matter! Thought you might want to stop in and see how the family is progressing. The webpage where the cam is located also has facts about this eagle family and eagles in general. I received the following poem from Tiptoe & Tonto last night. It was written by their friend, Dennis Lonstine and published in the local paper. I think it probably sums up how many of us feel; especially today as we are enduring yet another winter storm! Enough of this vortex called polar! I long for warm days, strictly solar. We're off to a flying start for our 2 trips for 2014 that are both sold out! Our first trip is our return to Dartmoor for the third time with a group of 18 boxers. We leave PM from JFK, NY on August 28; land at Heathrow Airport in London on Friday, August 29 and make the 3.5 hour trip to our home for 8 days in Bittaford, Devon on the southern edge of Dartmoor. We fly home on Saturday, September 6. I plan to blog at the end of every day so if you'd like, you can keep up with our adventures. Page is located here for future reference. Our second adventure is out 7th annual Bed & Boxing weekend. This year we've changed locations to Lake George, NY. This event sold out in the first week after I posted it on AQ - over a year away from the actual event! Crazy. We will occupy the complete Adirondack Diamond Point Lodge for the weekend of October 17 - 19. Since the resort will not allow non-staying people on the premises, we're hoping to host an event on Friday evening aboard a double decker paddle wheeler steamboat on Lake George for a 2 hour leisurely, narrated tour that includes a BBQ Chicken dinner. I need a minimum of 80 people to get this ship off shore so if you haven't let me know that you are interested in going, please do. Details are on the event page. Add into the mix the birth of our first grandchild in early April - a boy, Mason - and a trip to Sedona shortly after! You can see things are a bit crazy here in Pineconeville but that's how we like it - a beehive of activity planning fun things to share with our letterboxing friends! Show Some Bookworm Letterboxing Love! Our good friend, Bookworm, met with a tragedy in her life last weekend when a fire broke out at her home in CT while they were at church. She and her husband, dog and cat are fine but cannot live in her house for a while due to the extensive damage; which was undergoing a major renovation. 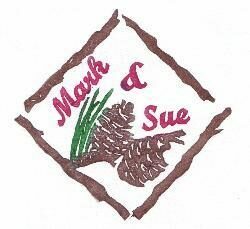 So, we thought the letterboxing community might show some love by carving a stamp for her; much like the pinecone stamps that were carved for Sue & I years ago but for a much better reason this time. We ask that you carve a Bookworm-themed stamp or a stamp of a fond memory that you might have shared with the Worm and send to me. We will make a logbook for her, stamp in all the images and present to her as soon as we can get together with her. Please send your stamp to Mark Pepe, 75 Norton Road, Kensington, CT 06037-2918 and thanks so much for showing some good old fashioned letterboxing love! Hi everyone. It's been some time since we've posted but we had to break our silence to announce that Sue & I will be grandparents for the first time in April! Christmas Eve we found out that it will be a boy and Steve & Katie have decided to name him Mason. So - I thought it would be cool if we surprised Mason's parents, who are noxers, with a bunch of sig stamps for Mason since he will surely become a boxer even if only with Sue & I.
I was wondering if you have some time to carve a sig stamp for Mason and we'll present them all to Steve & Katie at their baby shower. It will be a great way to show them what a terrific community this gaggle of boxers are and to let them know that our grandchildren will not be noxers like their parents! Hope you can participate and if you do; thanks for sharing in the joy of welcoming our newest member of the family. 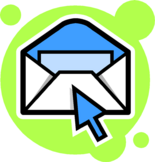 Email me from the link on our home page or via Atlas Quest mail to get our snail mail address so you can send your stamp. UPDATE: I had another thought on the way home from work yesterday. Sue & I will buy a light color shirt of some kind and stamp all of the carved sig stamp images onto the shirt so Mason will have his first letterboxing tee shirt! And we're also going to assemble a little letterboxing backpack/bag for him with the basics in it. Can't wait to see his parents' faces!!! Sue & I were in VT this past weekend celebrating our 38th wedding anniversary! Whew - where did the time go?? FYI - found your Jumping Frog message book cache by random chance while looking for golf balls at Timberlin. I can't believe that there are still overnight and day tripper openings for Labor Day weekend's 15th anniversary celebration of letterboxing called Live & Breathe XV. Here we are only several months away. Come on! When it was first published that this event would be located on the East coast (after the first gathering 5 years ago was in Oregon) many of us thought the event would sell out as quickly as the first one did especially given the fact that there is such a huge concentration of boxers here on the right coast and New England especially. That first event sold out like in 5 to 10 minutes after reservations began! With all the letterboxers on the East coast, everyone imagined that this new event would do the same. Why haven't you signed up? Are you willing to sit back and miss out on the fun? As one who attended the first event, I encourage you to sign up for this event. It's like letterboxing camp! Imagine exchanging with other boxers from around the country; not to mention the terrific boxes! Day tripper rates are only $40 per person for the weekend which gets you entrance all 3 days (Friday through Sunday) plus the BBQ dinner planned for Friday night. And, if it's anything like the last time, the swag you receive when you check in is worth the $40 and the BBQ! So go ahead, do yourself a favor and sign up here. Or would you just rather read about the fun we all had after the fact? :-) Hope to see you there! We'd like to bring to your attention a gathering that will take place in a most exceptional spot and one of our favorite areas - Downeast Maine. To view the AQ Event Page and reserve your space, click here! And eat a lobstah for us! Help Celebrate a Special Birthday!!! "Posting this here and hoping that my Dad continues not to read the posts of AQ (Sorry Ryan). Pop The Sailor Man, the other half of RV Greyhound Travelers turns 80 in June. We are have a B-day bash near their new hometown in Bedford, PA. Anyone who would be kind enough to send a stamp to me for this auspicious occasion could do so before May 25th. I know many of this community have met them on their adventures when they were full-time RVers and travelled the US. AQ mail me for details or questions. I will probably present the stamps on his birthday. I am sure they will have a great time planting them in their favorite park in the area. They are currently in FL, and yes they have been letterboxing down there! We have our dates and a location for our annual Bed & Boxing weekend. 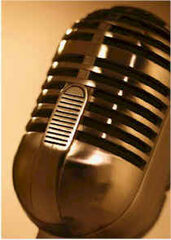 This year, we are back at the Cape Point Hotel for the weekend of October 18 to 20, 2013. Come and join us for this fun weekend at the Cape in the fall and hunt for those great, historic Cape boxes. And don't forget the seafood and just spending time together during a great weekend that goes by way too quickly! We're very happy to announce that we have negotiated even lower rates this year for you! One rate for everything makes it easy and includes: 2 nights stay, 2 full buffet breakfasts each morning (in our own private room), and all taxes and gratuities! Single rate is $200 for the weekend; Double (2 people) is $220 for the weekend. Many times participants like to arrive a day or two early or stay a day or two after the weekend and the special rate for that is $69 per night plus tax per room. More details to come. Sign up or watch our Atlas Quest event page. Hope to see you there! *Bed & Boxing at the Cape was a huge success. We had a ball hunting the tons of boxes there. Special thanks to Chunna and Rabbit Tracks who planted several series especially for this Pinecone Adventure! Everyone had their own opinion as to where next year's event should take place. We're working on it and will announce it shortly after the first of the year. Hope you all can make it - these weekend events are so much fun and everyone is different in its own unique way. * Sue & I and 10 other letterboxers joined a tour of Italy for 12 days. It was an amazing journey - much more about that later. * While in Italy, we met up with old pal, Phyto of Maine, who is in school in Naples, Italy. She is the boxer who carved our sig stamp many years ago. You'll find the story about that sig stamp in the "About Us" section of our blog. Phyto gifted us with a new sig stamp - one that we love and hopefully we can exchange it with you in the very near future. We'll be posting it at the top of our blog shortly to replace the older version which we will retire. 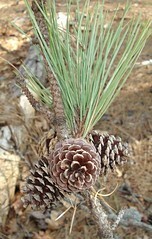 * While in Italy, we planted a 2 box series called "The Pinecone Pair" which was artfully carved by Maude of the mid West. While she insisted that the images didn't represent anyone in particular, we thought they could represent Sue & I. The first box is planted in Rome which was our first tour stop and the second in Bellagio, Lake Como which is our last stop on the tour. Clues to be posted soon. We hope you all get to find them someday as Italy is an amazing place - somewhere everyone should visit at least once! * At least once? No way! Plans will be worked on for a return to Italy in 2016 for a southern Italy Pinecone Adventure that will feature Naples, Pompeii, Sorrento and Sicily. Our tour guide who led us on our last trip does freelancing and on the second day of our tour, I asked if he would work with me on a return trip to southern Italy. Without hesitation, he agreed and our return to Italy began to take shape. Let me know if you might be interested in traveling with us. This will be a Pinecone Adventure designed by me so you can be assured of great destinations, wonderful hotels and all the bells and whistles you find on one of our trips. Ciao! Want to follow us in Italy? I tried to post to this website with my iPad and sadly discovered that without Flash (there isn't such a thing as Mac-based Flash) that we would not be able to post on this blog. So speaking to our good friend, Dave, he suggested an easy way out. Create a talk list and post to that. Following Dave's advice, we've created Viva Italia Blog, a Yahoo talk list where once you join, you will receive the day's activities of our group right to your mailbox; or choose to read it on the talk list homepage. Here's the talk list homepage. When you joined, you will notice that it's moderated and I have to allow you access. Access is open to everyone - we just put that in place to stop spammers. Just identify yourself - trailname and state and we'll approve you. Be sure to join before October 23 so we can approve you. Once we get past that date, we'll be preparing to travel. Thanks! Blogging in Italia . . . When I bought my used iPad in the spring, I also bought a Bluetooth keyboard for it. My intention - to blog while Sue & I and 10 other letterboxers are in Italy later this month for 13 days. As long as the internet is available in our hotels, we will be blogging about our trip at the end of every day. Normally, we keep a journal and then place it all on our blog when we return home. But, life always gets in the way and I never finish it or just rush through it to complete it in a timely manner. With blogging every day, we'll keep a running commentary, hopefully projecting the excitement we feel in our posts. Stay tuned for more about our upcoming Viva Italia Letterboxing Tour! What a great weekend. We had cool weather and sunny skies in VT. Dave & Deanne came up for the weekend and we found a few boxes on Saturday and 1 today as well. Had lots of time to catch up with the Lazy one and the Ham and time to plan our strategy for our free time during our Viva Italia Letterboxing Tour coming up in 5 weeks. Sue & I planted a new box which was a carve by Tsuki Ames called Partridge in a Pear Tree. Then we got home and found a confirmation in our inbox that we had made the cut for Live & Breathe next year as day trippers! Needless to say, it was the perfect end to a wonderful weekend. Hope you all found some time to "just get out and box!!!" A Few Milestones Reached Today! Well, today's a special day here in Pineconeville, USA. Sue & I are celebrating 2 very important milestones. The first is Sue's landmark birthday. While it's not proper to divulge a woman's age, suffice it to say that AARP has been knocking at our door! I'm 6 months older, so I recognize the knock! Best wishes to the most important person in my life. Happy birthday, Sue! The second milestone, which is connected with Sue's birthday, is our 10th anniversary in letterboxing! On another milestone birthday 10 years ago I surprised Sue with a weekend at a B & B. That's the weekend we started boxing - and haven't quit yet. It's been a great ride and we hope to never stop! Funny, we just started our 18th logbook last weekend! What a fast and terrific 10 years. We've made so many great friends all across the country and the world while pursuing Tupperware! So, lucky us, we have 2 very important milestones to celebrate today. Pardon us while we toast ourselves!!! It's official - we've met our minimum for our Viva Italia Letterboxing Tour this October! All of our 11 participants are very excited. We needed a minimum of 20 people total for the trip to happen on the dates we signed up. Word came through yesterday from our agency contact that we had met the 20 person threshold with additional sign ups. There's still time for you to make this trip if you are interested; but time is running out! All of the info can be found here on our AQ event page. In fact, Nana C of Nana C and the Seedlings from Alaska is looking for a room mate so she can save the $769 upcharge for a single occupant on the trip. Interested? Let me know via email and I'll send it along. If she already has a room mate, maybe we can pair you up with someone else. Come and join us on this trip of a lifetime as we wend our way from Rome north; hitting all of the important churches, museums and attractions. Throw in some wine and great food and a bit of gelato and you've got yourself memories to last a lifetime! This past weekend, we headed to VT to revive our batteries a bit. While it rained most of Saturday, we had a chance to go by our Where Are We? letterbox; which is a mystery letterbox. Much to our amazement, the edifice in the picture clue was moved from where it was several years ago!!! 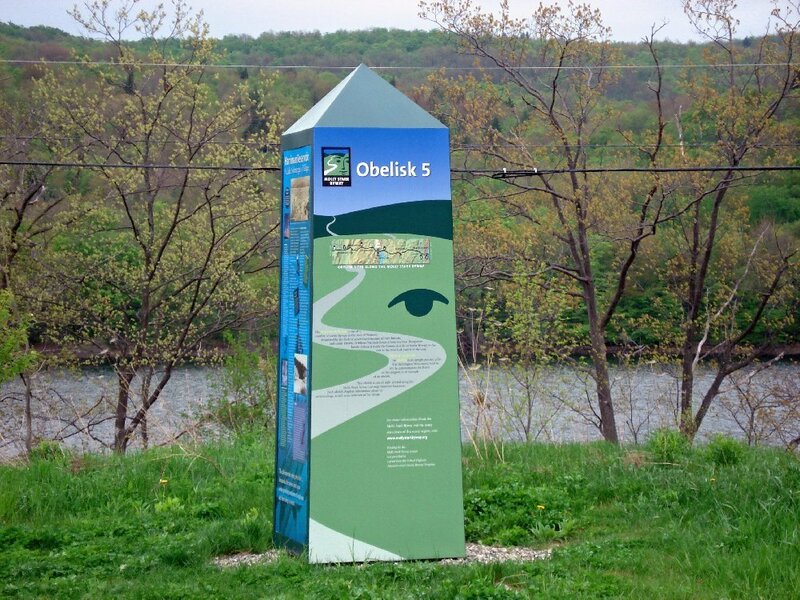 It was moved up a hill, about 100 feet away from the original location where we planted the box. "Look!" said Sue. "They moved it! Our box must be lost!" "I think I just received an email report that someone found it last week," I replied as I turned into the area to check it out. Running between raindrops, you can imagine my surprise when I actually found the box exactly where it should have been! Whoever moved this landmark, also moved our box as well! That was a bright and sunny surprise for us on such a dismal, rainy day. West Dover and Wilmington, VT officials have been wonderful in working with us when we had our Back to Our Roots gathering several years ago. They understand the importance of letterboxing and how it brings people from out of the area to hunt boxes we've planted there. Do a quick search on 10 mile from West Dover, VT and I think you'll be surprised at the 80+ boxes in the area. We thank whomever it was who decided to move our box with the landmark. We've finally chosen a spot for our 5th annual Bed & Boxing weekend - Cape Cod! Even though last year's weekend and location was a huge success, we just couldn't come up with a weekend at Woodbound Inn that fit our schedule and theirs. Hopefully, we'll return there again for B & B 6. But in the meantime, we chosen the Cape as the location for this year's event and specifically, the Cape Point as the destination. We've done our very best to once again keep prices down. This year's weekend rate for 2 people may be a bit less than last year's which was certainly a challenge since the Cape is such a popular destination especially in the fall when we hold these events. We're please to offer a package price of $240 per couple (2) which includes 2 nights stay, 2 private breakfast buffets each morning for Saturday and Sunday mornings, room tax, gratuity and maid service - all included. One convenient price that rivals last year's pricing. Single in a room has a rate of $220 for the weekend so you probably want to "buddy up" and split a room! Additional nights before or after the event are available at a rate of $89 per couple + room tax per night. Dates for this year's weekend is Friday, October 19 through Sunday, October 21 - just a few days before our next Pinecone Adventure - Viva Italia! Letterboxing Tour!!! As Tonto of Tiptoe and Tonto said "Looks like you and Sue will be living out of a suitcase for most of October!" And we wouldn't have it any other way! The Atlas Quest Event Page is located here. Please be sure to call the Cape Point (all the info is located on the event page) and mention "Pinecone Adventures" to receive your special weekend package pricing. Because the meeting room we have there only holds 70 people, we've had to limit signups to just 70 people. I hate to exclude anyone - especially since we had almost 90 boxers at last year's event, we really have no choice due to fire regulations and space constraints. Be sure to sign up to secure your space and that means calling the resort and placing your deposit - not just signing up on the event page. The first 70 who make a deposit with Cape Point are those that are counted in the 70 attendees. Also, we're negotiating pricing for our traditional Saturday night buffet with Ardeo's; one of our favorite places to eat at the Cape. I'm still waiting for the contract but it looks like a $25 all inclusive cost (a bit less than last year's) which will include a delicious Italian-themed buffet including coffee, tea and dessert. More on that to come once the details are worked out. 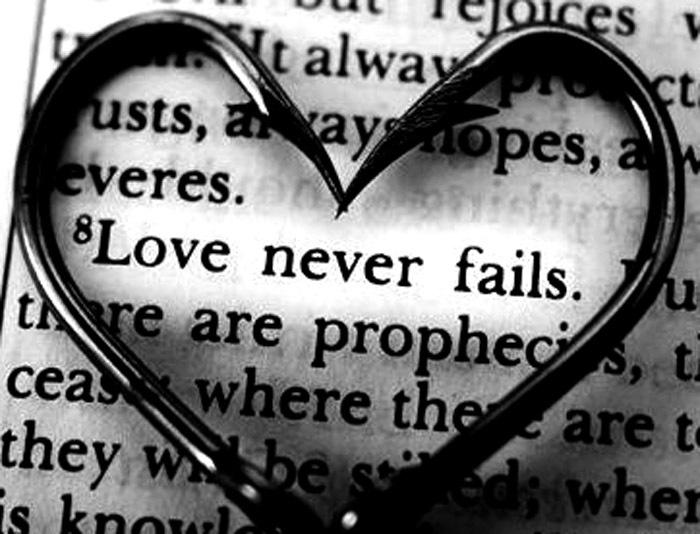 So don't delay! Signup before you miss out. These are always such fun events. It's so satisfying to see that of the 28 boxers besides Sue & I already signed up; all but 2 have attended other Bed & Boxing events and some have been multiple times. Start your own tradition with us this year and join us while we "Cavort at the Cape!" That's right - mamma mia! Our Viva Italia Letterboxing Tour!!! has reached 13 members. And with the minimum of 20 people, there are only 3 spaces left to make that minimum (maximum for this trip is 38 people.) No - my math is correct because the tour has 4 people not from our group set to travel on that date that have reserved space but have not yet made a deposit. Check out our AQ Event Page here and our blog's entry with all the particulars of the trip located here. This is one heck of a bargain at a leisurely pace with time on our own to sightsee, hunt for existing boxes and plant our own new ones. It is almost a fully inclusive price except for airfare and a few other minor items like tour guide gratuities and transfers from Rome's airport to our hotel. The trip starts in eternal Rome and wends it's way north, hopscotching along the scenic Italian countryside to our final departure point of Milan. 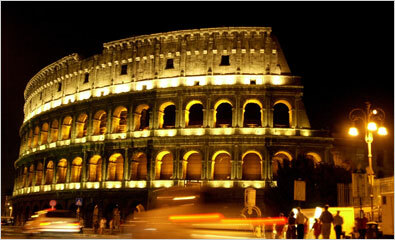 We will see all of the main sights in Rome, Assisi, Florence, Venice, Lake Como and much more. Pricing includes 9 dinners, all breakfasts and 1 lunch as well as all entries to museums, sights, etc. and bus and train accommodations, baggage handling. This trip also includes a free night in Rome and breakfast the next morning so we'll have a full day to enjoy the city before the "real" tour begins. There will be a full time professional guide who will be with us the entire trip as well as local experts that we will pick up along the way like at the Vatican; experts who will not only make this trip special, but a learning experience. Learn how one of Italy's leading winemakers goes about their craft (and enjoy lunch and wine while there,) take a gondola ride in Venice, see the balcony reported to belong to Juliet from Romeo & Juliet, view the Colosseum in Rome in a more, up close manner than ever before, see how much that Leaning Tower leans and view all of those wonderful paintings, statuary, architecture and history that you've only viewed in books! Be there to soak up all of these amazing sights in person! Please come and join us. We're proud to say that everyone except 1 of the 13 travelers in our group came with us on the Alaskan cruise last June (and several have traveled with us on other Pinecone Adventures as well!) And that 13th person held a mini meet for us in Anchorange!! This is a real fun, great group of people; it's amazing how close we became after spending time together in Alaska. Now we get to do that all over again - but in Italy! 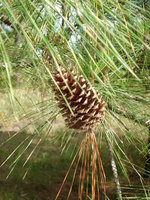 We hope that you can join us and add to this Pinecone family! Email me with any questions you might have. Time is running out . . . . . .
What a great day Sunday was for Sue & I. We went out boxing with Tsuki Ames and Jei for the day in Penwood State Park in Bloomfield. 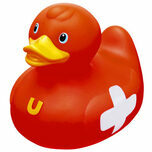 After a late start, I was loading up the car when a red car pulled in the driveway with Rubaduc and Gizz inside! "We're heading out to Penwood to do your early boxes" I told her. Most of the boxes were placed around 2004. It's always a hoot to find these vintage letterboxes and see how much better carvers have gotten from their early beginnings and the logbook entries. After picking Amy & Jay up we were off. It was a perfect day to be out on the trails as I'm sure many of you found out! A few times we had to snake in between downed limbs and branches still left from the October early snow disaster. We spent about 4 hours on the trails and hiked about 5 miles - it felt so good to be out letterboxing again. All of us kept mentioning how crazy it was to be this warm in mid March but we were glad to have it. Then we headed out to dinner - Braza's in Hartford for a Brazilian feast, which was as good as always. Dropping Amy & Jay home, Amy was so kind to gift us with a bunch of her stamps so that we can plant them for her. Watch for some new boxes that will be coming out soon. Hope your weekend was as good as our and you found some fun time! We all need that to clear the work out of our heads!!! Sue & I mourn the passing of letterboxer Northstar, who died a few weeks ago at a very young age. Those of you new to boxing might not recognize the name as he wasn't very active in recent years. He leaves his wife Gina and a daughter. Our best memories of Northstar, a CT boxer, was a certain clue that he left on our website! Don't want to spoil anything but suffice it to say, I was amazed when I spotted the clue, did some research and found that the answer brought us to a well known area cemetery where the boxing began. This series brought Sue & I many hours of consternation and fun! It was a unique way in which to clue a box and we will be forever grateful to Rob for the joy that he gave us. He told me once that he received so many visitors at this series that he was going to have me hide more of his clues on our blog. Northstar's carving was excellent and he managed to stay below the radar - just doing his thing. We appreciate his talent and wish the best to those loved ones that he left behind. 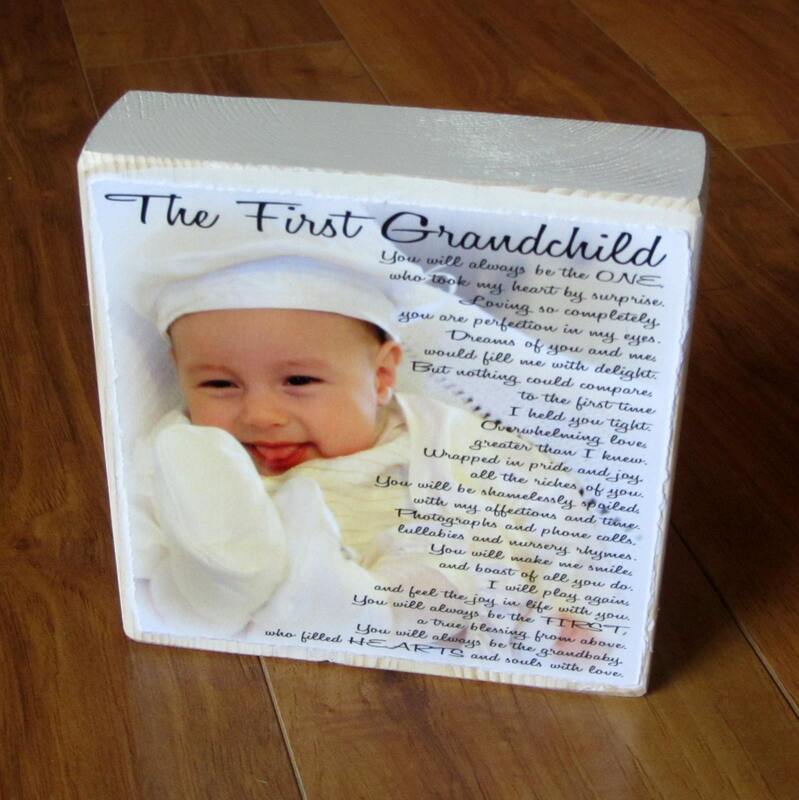 There is some talk of a special box to be planted in his honor but that is still in the planning stages. We'll let you know when that happens. Some More Italy Trip Info . . . .
1) We're looking at a departure date of Wednesday, October 24th to arrive in Rome on the morning of the 25th. This tour includes an extra, free night at the beginning of the trip which is the night of the 25th to allow us to get acclimated to the new time and do a day's worth of exploring on our own and the free breakfast the next day. 2) The morning of the 26th, we hit the ground running in Rome which begins the first of 12 exciting days in Italy. The tour includes all breakfasts, 9 dinners and 1 lunch as well as all tickets for venues that we visit, baggage handling throughout the tour including tips to bellmen, bus and high speed train tickets, wine-tasting, and more! Gratuity to our tour director who is with us the whole trip is not included but we'll take a group donation and present it that way - which is what we did for our AK land trip. 3) Pricing for the trip is $2399 per person based on double occupancy per room. All hotels are four star accommodations that are hand-picked by our tour company - Riviera Tours. The trip is called Classic Italy tour. You can find the link here which shows you itinerary including links to the beautiful hotels that we'll call our home-away-from-home, trip overview, what's included, etc. Be advised that typically their tours are at a 38 person maximum so, like our recent AK trip, there will be others on the trip with us. 4) After reading this webpage, please contact me again, even if you have already, and let me know if you are still interested. This should be a commitment to travel with us. From there, we'll open up a special Yahoo talk list to begin the trip planning and inform you how to contact Riviera Tours and our group name, etc. so you can make your deposit to secure your reservation. Then we'll purchase airfare together but that Yahoo talk list, as those of you who have traveled with Sue & I before, becomes our lifeline to each other for planning, updates, questions, etc. 5) Airfare is additional and we've found it for about $850 per person which is for JFK to Rome; then Milan (our final destination of the trip) to JFK. Also additional are transfers from Rome airport to the hotel and the Milan hotel to the airport for which I was quoted about $125 total for all transfers which depends on how many travelers with whom we evenly divide the fees. This would be a minibus for our group only. So don't delay - the trip will be here before you know it! We don't want to get locked out of this trip since there are already people signed up for it. Earlier departures were not available because of almost filled capacity. We hope you will contact us soon for this trip of a lifetime. As in all of our sponsored trips, the value cannot be beat as well as the beautiful Italian countryside and cities, letterboxing, exchanges and especially the friendships that are made that will last a lifetime! Ask anyone who has traveled with us - deep friendships are made. Atlas Quest sign up event page is located here! Sign up only if you plan to come. Thanks! That's right - we're taking a group to Italy this year - probably October. I'm having a conversation with several tour companies and want to get an idea of how many of you are seriously interested in a 10 to 12 day tour of Italy with Sue & I. 3) Price includes all breakfasts, most dinners and possibly a lunch. 4) We will hit the main sights in Rome, Venice, Pisa, Florence, Milan, Lake Como. Modern air-conditioned buses and high speed trains where possible - all included in the pricing. All entrances to museums, venues included. 5) There will be a free afternoon on the second day of each city to allow for personal exploration - and letterboxing!!! Cost? It will be firmed up later once we have an idea of how many people are seriously interested but for budgeting purposes, plan on approximately $2000 to $2300 per person PLUS airfare. Airfare with 1 carrier quoted $1200 per person but I found it for $800 per person which we can discuss. Based on double occupancy the price per person would be about $3000 to 3200 including airfare for 10 to 12 days with most meals included. Please email me if you are interested this week sometime so we can lock in the best price. I would like to give a preliminary count to the tours who are in the process of pricing this trip for us. Also, email me if you have any questions about the trip. If you traveled with us before either domestically, or on a cruise or to England, you know that we always to our best to offer you the best possible value for your money. So come; join us on Pinecone Adventure's Viva Italia Letterboxing Trip. Sue & I would like to wish all of you and yours a wonderful Christmas or whatever your holiday might celebrate. We wish you happy times with loved ones and friends; good cheer and good health always and all the peace that this season should bring! And our best wishes for a Happy & Healthy 2012! May all of your found boxes have stamps; may your travels be safe and may you have the most wonderful adventures imaginable! Ever notice how things keep repeating? Like when you learn a new word, you tend to see it many times after you learn it. Or you notice a model of car that you like and have never seen - then you find the same model wherever you turn. Well, over the past few weeks the number 60,000 has come up several times. LBNA recently had its 60,000th letterbox posted on the website. And a week or so later, Atlas Quest had its 60,000th member join. © Pinecone Productions & Pinecone Adventures - "Have Fun & Just Get Out There & Box!!!"